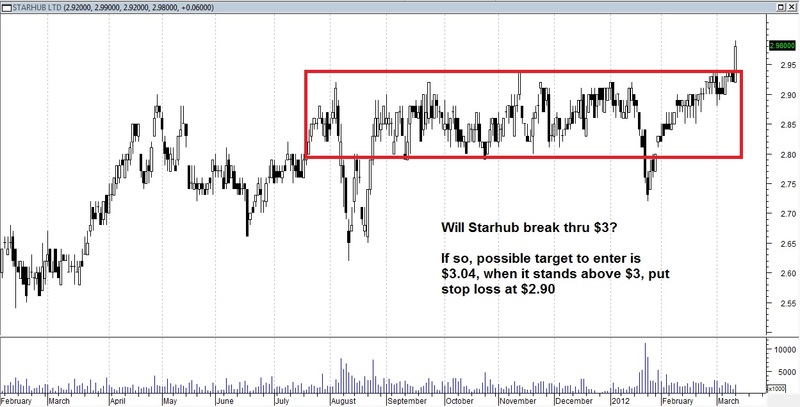 Starhub has a box breakout yesterday, but also close to its $3 milestone. Will it break? If so, may go higher towards next resistance at $3.17. Make sure it stands above $3. 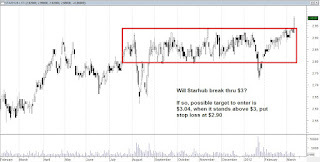 Exercise stop loss at $2.9, below the recent box top. Money management is very important this month!